You may have a well-paying job but it wouldn’t hurt if you can earn a few extra dollars every month utilizing the knowledge and skills that you already have. 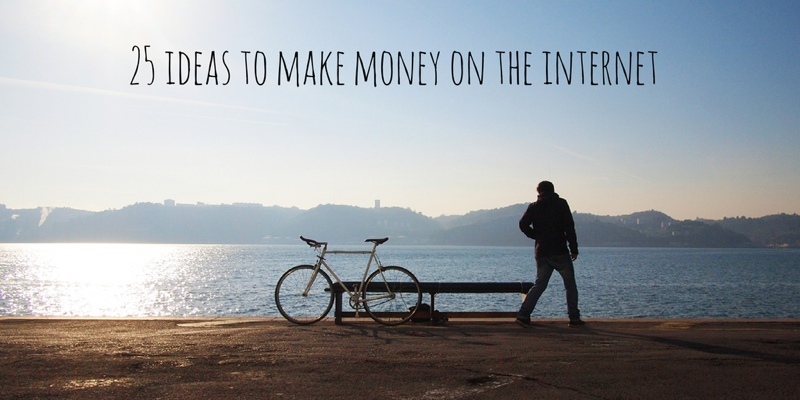 There are no shortcuts but if you ready to put in the effort and time, here are some “legitimate” ways to help you make money on the Internet. 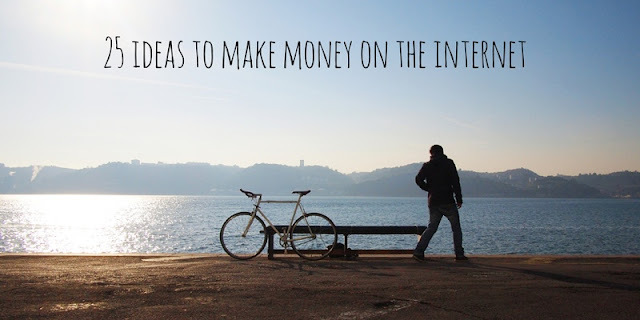 Start a website or a blog and earn revenue through advertising networks like Google AdSense and BuySellAds. You can even sell your own ads directly throughGoogle DFP. Launch a curated email newsletter using MailChimp and find sponsors or use a subscription model where people pay a fee to receive your newsletter. HackerNewletter, Now I Know and Launch.co are good examples. Create your own YouTube channel and become a YouTube partner to monetize your videos. You may use Oneload to distribute the same video to multiple video sites. Make something creative – like handbags, jewelry, paintings, craft items – and sell them on Etsy, ArtFire or eBay. Build your own online store with Shopify or SquareSpace and sell both physical goods and digital downloads. Sell everything from furniture to clothes to food. Create t-shirt designs and put them on Threadless, Zazzle and CafePress. Write a book and publish it on the Kindle store, Google Play and iBooks. You can also sell your ebook to other retailers through services like Smashwoodsand BookBaby. Become an instructor at Udemy and SkillShare and get paid for teaching your favorite subjects – from guitar to literature to yoga to foreign languages – to a worldwide audience. Learn how to code and you can then hunt for software development projects atGuru, eLance or Rent-a-Coder (now Freelancer.com). Become a virtual office assistant and offer administrative or technical assistance to clients remotely from your home office. Head over to eLance, TaskRabbit andoDesk for finding work. Offer one-on-one help to anyone worldwide over live video using Google Helpouts. You can do live cooking classes, teach maths or even offer fitness and nutrition tips. Write scripts, browser extensions, plugins or mobile apps for iOS and Android and sell the source code of your software on CodeCanyon, Chupa or BinPress. People are outsourcing petty computer jobs – like data entry work, transcribing text from business cards or performing web research – and you find these jobs atMechanical Turk, an Amazon service. Creative professionals can scan marketplaces like CrowdSpring, 99Designs andDesignCrowd for projects involving logo design, web design, brochures and other marketing material. Do you have a good voice? Sign-up as an audio narrator at Umano or become a voice over artist at VoiceBunny and Voice123. Record your own music and sell it on music stores like Amazon MP3, iTunes, Pandora or Spotify through DistroKid, Tunecore, loudr.fm and CDBaby. You can also sell your audio files directly on marketplaces like AudioJungle, Pond5 andBandcamp. Become an affiliate for Amazon and various online stores and earn a commission on sales. You can use programs like Vigilink, ShareASale, CJ or LinkShare to know about the various vendors that offer affiliate programs. Educators and teachers can help students with homework or offer on-demand teaching class over the Internet. Apply to become an online tutor at Tutor.com,InstaEdu and TutorVista. Got an empty room in your apartment? You can list the property on Airbnb, host people and make some money. The other alternative is Couchsurfing but the service forbids from charging guests. Sell photographs that you have taken on Creative Market, PhotoDune,iStockPhoto or ImgEmbed. The latter lets you easily license photos you have uploaded on Facebook, Flickr or Instagram for online use. Sell the stuff you no longer use – like old books, children’s toys, gadgets, DVDs, furniture, etc. – on sites like eBay, Craigslist or, if you are in India, OLX. Apply to become a website tester at UserTesting and get paid to review and test websites from the usability perspective. If friend’s look at you for tech support, there’s no reason why you can’t offer similar services on the Internet. Get Skype (for calling) and Chrome Remote Desktop (for screen sharing) and you are all set to offer remote tech help from anywhere. Create an account at Fiverr and PeoplePerHour and offer a wide range of services from translation to graphic design to writing to SEO. You can make money by flipping websites. Flippa, GoDaddy Auctions and Sedoare popular marketplaces for buying and selling registered domains whileLeanDomainSearch is a good tool for finding available domain names.